What's up guys! 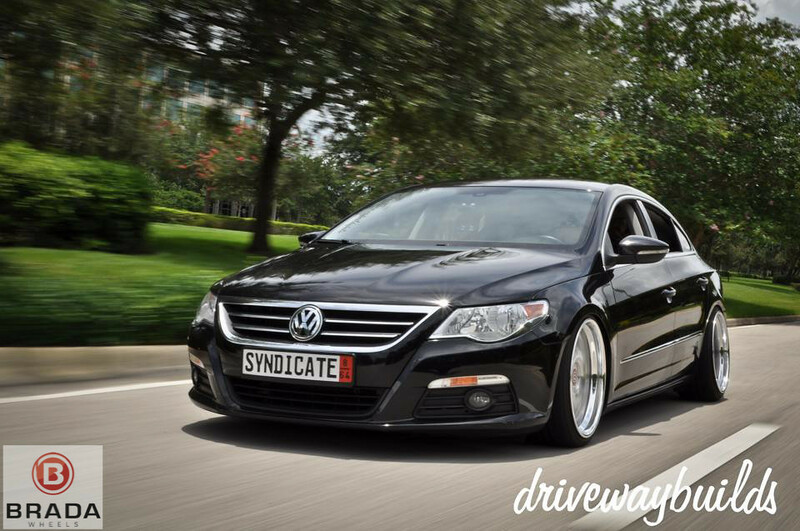 Just wanted to show off a few more pictures of the wicked Passat CC we did a set of BR10's for. The car is owned by Chris Dressler (@dresslerchris on instagram) and the wheels measured in at 19x9" and 19x10" and they sit beautifully, especially when the car is fully air'd out! Enjoy the pictures and email us if you have any questions about the wheels or want a set of your own! Fitment dialed in nicely! Tucking up front, while the rears sit right at the fender! 2 Shots from SoWo 2013! Quick Reply: Air'd out CC on Brada BR10's!